How German angst created the welfare state – The state sets the tone. Your health insurance contributions are deducted automatically from your salary at a rate of 14.6 percent. You and your employer pay half each. Unemployment, pension and long-term care insurance are also taken out of your pay. 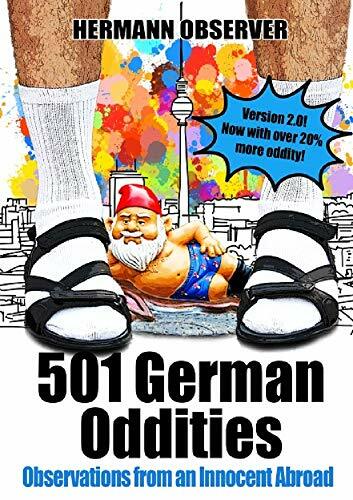 See German Oddity 11. Germans don’t like surprises. That is probably why they have insurance for practically anything you can imagine. It’s crazy. They not only have vacation insurance, for example, they also have what-if-I-decide-to-cancel-my-vacation insurance. They have insurance for their insurance, you see. 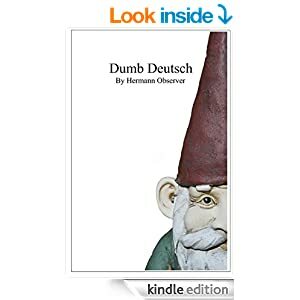 And if you were to ever tell a German that you didn’t have any Rechtschutzversicherung (legal costs insurance) they would gasp for breath and look at you like you just beamed down from Mars. Meanwhile… Chaos hits European flights as snow snarls major hubs. Germans worry about that kind of stuff, too. They’re always leaving Germany in the winter to escape the cold weather. Der Winter hat in vielen Teilen Deutschlands zu chaotischen Zuständen geführt. In einigen Regionen zählte die Polizei in der Nacht zum Montag Hunderte Einsätze. PS: Get your free sample of Brain Quest – A Fantastic Voyage through the Progressive Mind today! For risks and side effects ask your doctor or pharmacist. Terrorism wins again. But does it really? German Angstforscher (angst scientists – how could they be anywhere else but in Germany, right?) point out that terrorism, for example, is a socially accepted angst that everybody can openly get all angst-like about, without getting any angst about getting any extra angst on top of that. The real close up and personal kinds of individual angst, however, that’s a different matter. People don’t like to talk about that kind of angst because they have too much angst to do so. I have angst, for instance, that these angst studies are creating more angst about angst than they need to. And that frightens me. Germans don’t have this problem, though. Their anxiety is always in perfect working order. Etwa fünf Prozent der Bevölkerung haben einmal in ihrem Leben generalisierte Ängste. Frauen sind häufiger betroffen als Männer. What do you mean, back? Did it like step out for a quick cigarette when nobody was looking or something? I certainly never saw it leave. I mean, Germans have angst when they don’t even need to have any angst (it’s “the German lifeblood“). That’s why they qualify German ‘angst’ with the ‘German’ part. They’re sure as hell going to have some angst whenever there’s a good reason to have angst. Talk about your no-brainer. – Do we react more skittishly to change than others? – What unnerves the Germans so much about this large influx of refugees? Is it fear of terror, or concern about rising crime, or diluting the culture? – Are we being overcome by a fear of the future? – Is there a typical anxious German? – Is the political landscape in Germany fundamentally changing? I’m glad you asked me that, Deutsche Welle. The answer here is, of course, yes. German Angstforscher (fear research specialists) at the GfK research institute in Nuremberg have determined that the majority of Germans polled are fearful about the coming year, up nearly double from last year’s survey. This immediately made the Germans reading these results even more ängstlich (fearful), screwing up the survey for the 69th year running. Researchers then tried calming everybody down again by explaining to them that these types of studies have certain weaknesses and should not be taken at face value. Many of the Germans they attempt to survey, for instance, suddenly break out in a wild panic and run away in terror before completing the questionnaires. So the numbers could actually be a lot worse or something, they said. The poll, carried out by the German market research institute GfK on behalf of the Hamburg BAT Foundation for Future Studies, found that 55 percent of Germans are fearful about the coming year, up from 31 percent last year, and 28 percent in 2013. First of all: Don’t panic. Then stick your fingers in your ears because you’re probably about to develop an acute case of tinnitus. Because of all off that repressed panic or something. But don’t panic about that, either. I SAID BUT DON’T PANIC ABOUT THAT, EITHER! And what’s the number one angst in Germany these days? Ukraine? Ebola? Nope. Money. Money, the environment and health, in that order. Im westlichen Kokon scheint der Blick gelegentlich getrübt – ein wenig mehr Realismus könnte den Deutschen nicht schaden.